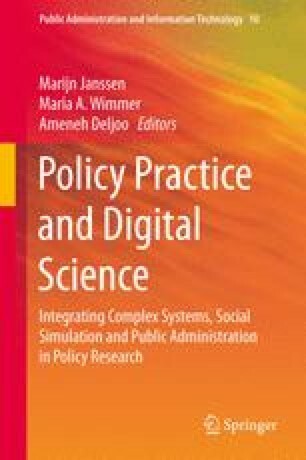 Using computer simulations in examining, explaining and predicting social processes and relationships as well as measuring the possible impact of policies has become an important part of policy-making. This chapter presents a comparative analysis of simulation models utilised in the field of policy-making. Different models and modelling theories and approaches are examined and compared to each other with respect to their role in public decision-making processes. The analysis has shown that none of the theories alone is able to address all aspects of complex policy interactions, which indicates the need for the development of hybrid simulation models consisting of a combinatory set of models built on different modelling theories. Building such hybrid simulation models will also demand the development of new and more comprehensive simulation modelling platforms.